Dividend Warrior: Dividend Warrior's 2nd Pot Of Gold Series - BTO Flat Booking Day! Recently, URA released its Draft Master Plan 2019 and new expansion plans for the two Integrated Resorts in Singapore, making me more confident that Singapore's GDP growth will remain steady over the long-term. Generally speaking, there is a high correlation between a nation's GDP growth & property values, especially in a tiny city-state such as Singapore. That's why owning a tangible piece of physical asset on this glorious sunny island has often been touted as a 'sure-win' long-term investment. How would increased real-estate construction boost a country's GDP per capita? In simple terms, a robust real-estate sector helps to lift the finance and insurance service sectors as property loans are likely to trend up. More infrastructure developments would also lead to increased earnings for major construction companies and their smaller sub-contractors. The economic 'trickle-down' effect is potentially huge. Received a SMS and email from HDB one month before the booking appointment, informing me to download & print the application form and other documents from the HDB portal. Through the portal, I was able to look at the BTO site map, interior floor plans and the units available for booking. Applied for my Home Loan Eligibility letter (HLE) 2 weeks in advance. Prepared my Notice Of Assessment (NOA) & tax e-filing Form B, CPF yearly statement, CPF contribution statement over 12 months. I applied for the grants (AHG & SHG) on the appointment day itself, but you can submit your application earlier if you wish to. Did my sums to ensure I can afford the units I am eyeing. The higher the unit, the more expensive it is. 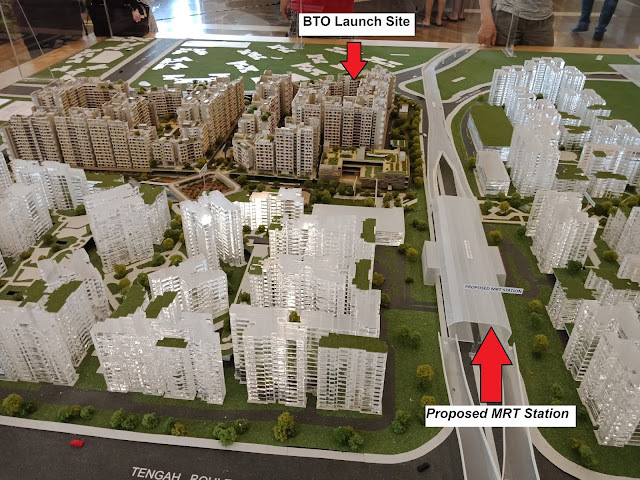 I also observed that the few blocks closer to the future MRT station have slightly higher-priced units. A day before the appointment, I narrowed down my list to 3 choices. Some of my earlier picks have been booked by people who were ahead of me in the queue. Brought along all the prepared documents. Brought along my ATM card to pay the booking fee through NETS. Arrived at the HDB Hub 15 minutes earlier to look at the materials that HDB is using for the Optional Component Scheme (OCS). These materials are displayed just next to the waiting area on the ground floor. I opted for the OCS. Got my queue number at the kiosk. Plenty of seats at the waiting area. My number was called within 10 minutes. Approached a friendly HDB sales officer in a rather spacious cubicle setting. After going through the documents, the sales officer told me that they need my CPF statement for 2017. 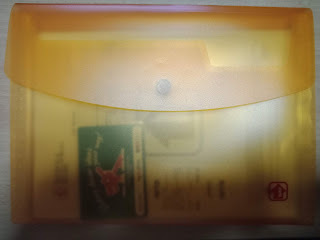 To my relief, there was a laptop on the desk for such situations. I logged into my CPF account and printed the statement. Told the sales officer my choice of unit and she entered the booking into the system. My 1st choice unit, which is near the future Tengah Park MRT station is available. YES! Signed the 'Option To Purchase' and paid the option fee. The sales officer explained the home financing calculations to me. She told me to note that this was just a preliminary estimate because my financial situation might change 4 years later when I collect the keys. As long as I stay employed and keep contributing to my CPF ordinary account, I should be fine. I would be notified to come down to HDB Hub again to exercise my option to purchase within 4 months. By then, I would also know whether my grants have been approved or not.